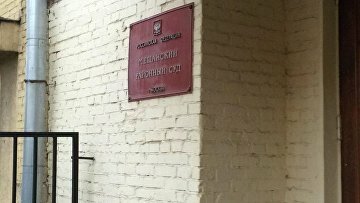 Ex-penitentiary official’s accessory to embezzlement gets 2.5 years in prison | Russian Legal Information Agency (RAPSI). MOSCOW, November 12 (RAPSI) – Moscow’s Meshchansky District Court on Monday sentenced Marina Dyukova, an accessory of Russia’s Federal Penitentiary Service’s (FSIN) ex-deputy chief Oleg Korshunov to embezzlement, to 2.5 years in prison, the court’s press service told RAPSI. The case was heard under a special procedure without examination of evidence and witness interrogation because the defendant had pleaded guilty and cooperated with investigators. According to investigation, Dyukova conspired with Korshunov and another FSIN official Svetlana Alekseyeva to steal budget money allocated for centralized purchase of sugar for penitentiary facilities in 2016. Investigators claimed that Alekseyeva included certainly impracticable demands of supplies of more than 7,000 tons of sugar to penitentiary facilities across Russia within 20 days in tender product purchase documentation. Dyukova in turn allegedly submitted to the FSIN commercial proposals on sugar delivery at overvalued prices by companies affiliated to her and not engaged in sugar supplies. As a result of an illegal auction, Korshunov acting on behalf of the Federal Penitentiary Service signed a sugar delivery contract with Dyukova’s firm at an inflated price. Korshunov paid Dyukova over 399 million rubles ($6 million), 43 million (about $650,000) of which were stolen by the accomplices, the Investigative Committee’s statement reads. Korshunov is currently a defendant in several other criminal cases including embezzlement, corruption and abuse of office. One more his accomplice, businessman Smbat Arutyunyan has been sentenced to 3.5 years in prison. Korshunov was appointed to the post of FSIN deputy head in March 2014. He has been bestowed the rank of Full State Counsellor 2nd Class of the Russian Federation. In October 2017, President Vladimir Putin relieved him of the post. 14:25 12/11/2018 Moscow’s Meshchansky District Court on Monday sentenced Marina Dyukova, an accessory of Russia’s Federal Penitentiary Service’s (FSIN) ex-deputy chief Oleg Korshunov to embezzlement, to 2.5 years in prison.